The Trojan War was a conflict between Greece and the city of Troy during the 1200s BC. 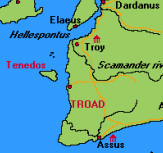 Troy was located in Asia Minor (Turkey). Whether or not the war happened has been blurred by time and the myths written about it. 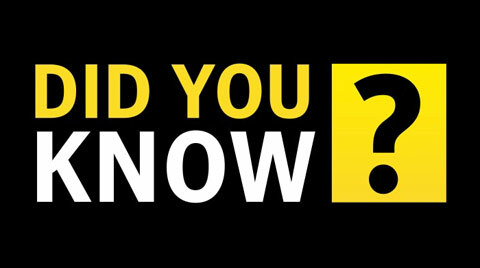 According to legend, it was fought for love; in actuality, it was probably fought to end Troy's commercial control of the seas. Much of what we know about this war comes from the Iliad, an epic poem by Homer. The conflict began when the three goddesses Hera, Athena, and Aphrodite asked the Trojan prince Paris to choose which of them was the most beautiful. He chose Aphrodite because she promised him the world's sexiest woman. This was Helen. One problem... she was already married to Sparta's King Menelaus. Helen fell under the influence of Aphrodite, and Paris took her back to Troy. Menelaus called upon his brother Agamemnon to rescue his wife. 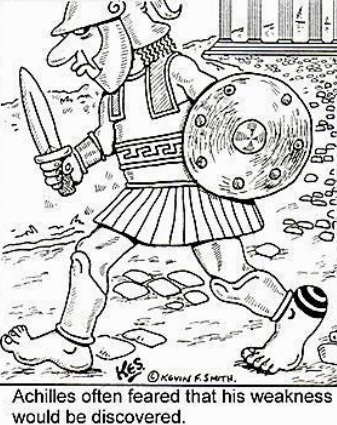 Agamemnon enlisted Achilles and Odysseus and sailed to Troy with 1,000 ships. The siege of Troy lasted 10 years, but the first nine were uneventful. 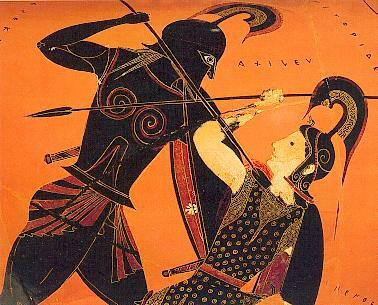 In the last year, Achilles left because he disliked Agamemnon but returned to avenge the death of a friend. He killed Hector, the brother of Paris, but Paris later killed Achilles when he fired a poisoned arrow into his heel (guided by Apollo). 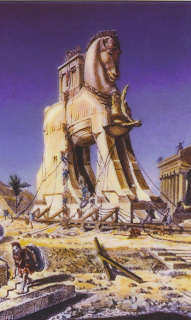 Troy was captured when the Greeks gained entrance to the city by hiding inside a large wooden horse. Troy was then burned to the ground. The myth of the Trojan War may have been based on a real conflict during the Mycenaean Period (1600-1000 BC) between the Greeks and the inhabitants of Troad (or Troas) in Anatolia, part of present-day Turkey. We're a real city! Honest! the mythical version of the Trojan War. 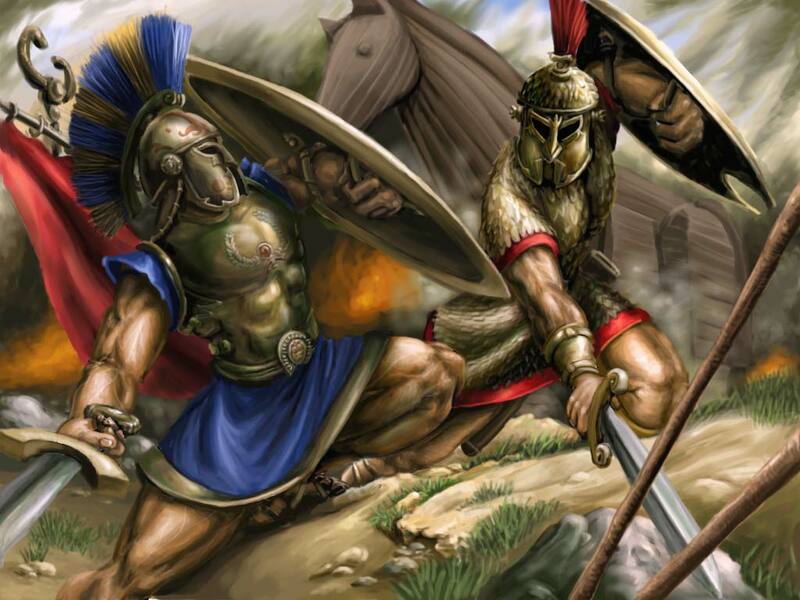 As a child, Achilles was dipped in the River Styx to give him armor-like skin. It worked, except for the spot where his mother held him: the heel. Annnnd Child Services weren't called because...?